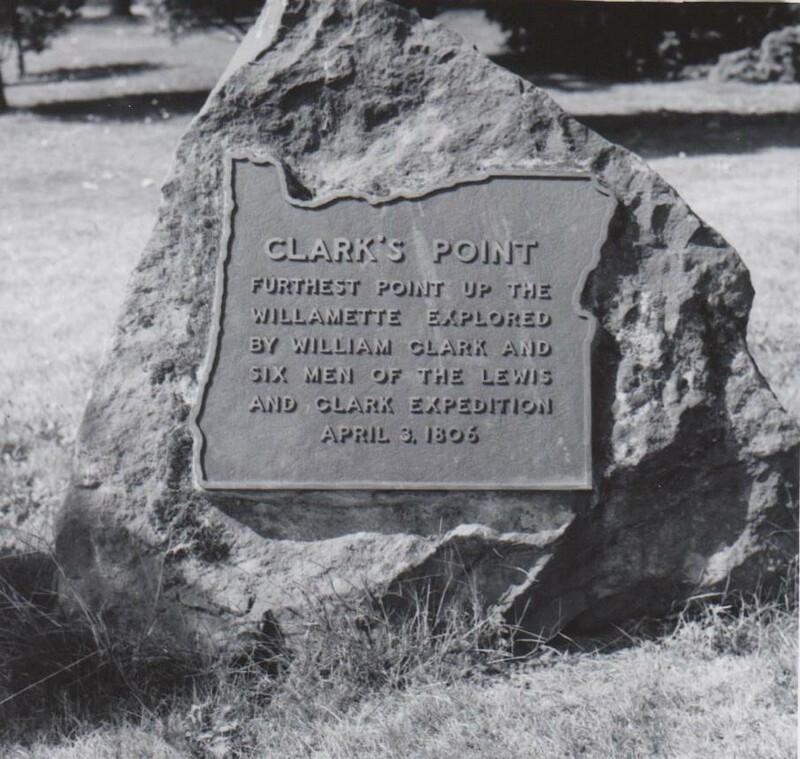 On this date in 1806 Captain William Clark and a party of scouts from his expedition investigated the lower Willamette River near the present site of the University. 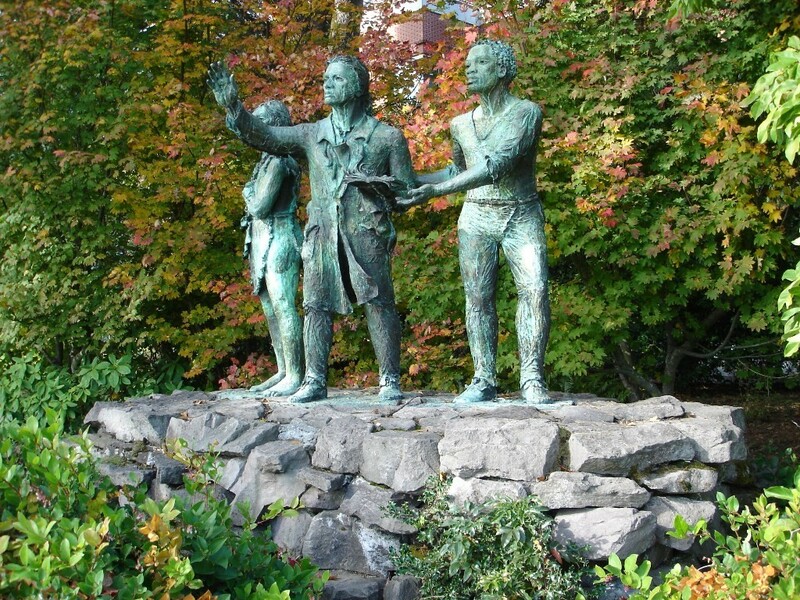 (History of the Expedition under Lewis and Clark, ed. by Elliott Coues, v. III, p. 928-929). A note on the history of the expedition by Dr. Elliott Coues says that “The locality which Clark makes ten miles up river is certainly not so far, probably about St. John(s). The two miles further he goes … would bring him to Waud’s Bluff and Swan Island whence it is still three or four miles to Portland (p. 924)”. 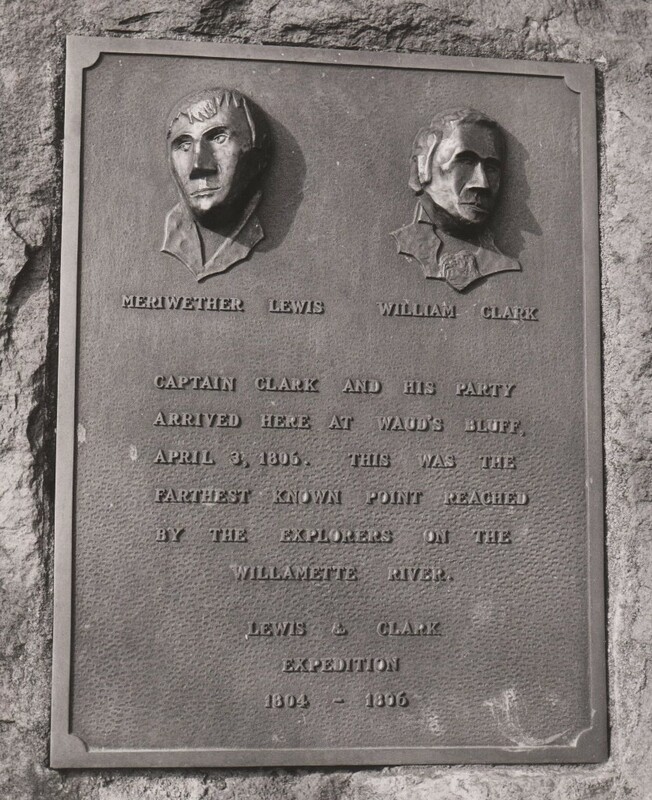 Captain Lewis and party came to the Bluff on April 3, 1806 on the expedition’s return from the coast, and the University campus is an official landmark stop on the Lewis and Clark National Historic Trail (designated by the National Park Service in 1988). There are three different monuments on the University campus which memorialize this event. 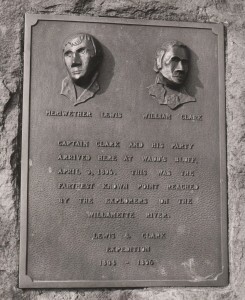 On October 10, 1945 the ‘Clark’s Point’ stone marker was dedicated by the mayor and members of The Oregon Trails Association; one of a series of markers tracing the Lewis and Clark route from St. Louis, Missouri to Astoria, Oregon. 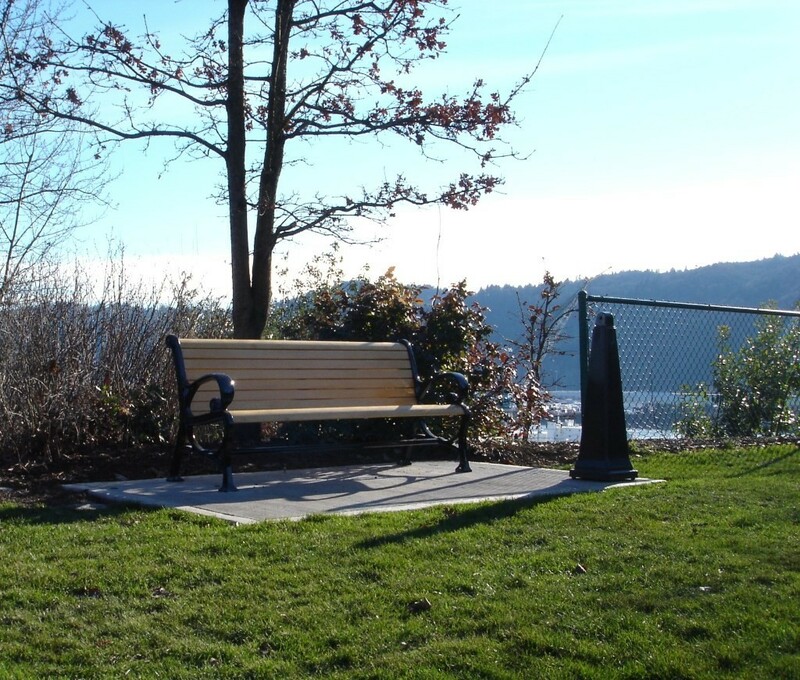 A five and a half ton boulder, the first marker stands at the then far edge of campus, a location that is now the exit where Willamette Boulevard curves toward the city. 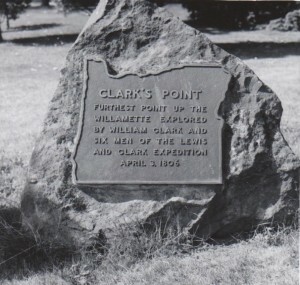 The plaque reads: “Clark’s Point / Furthest point up the Willamette explored by William Clark and six men of the Lewis and Clark expedition / April 3, 1806”. A second, larger monument was established in 1948. The new location, deeper into the campus proper, better approximates details found in the scouting report preserved in expedition journals. 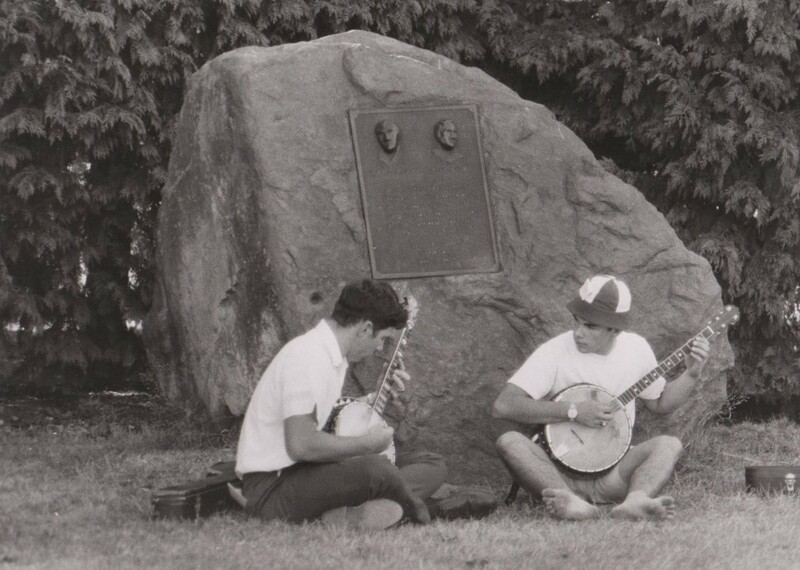 The new monument, beyond Swindell’s Hall, is an eight ton boulder obtained by Brother Godfrey Vassallo, C.S.C., bearing a plaque designed by Brother Pius Liesing, C.S.C. and fabricated by student Joe Goehler ’48, featuring portrait reliefs of the two explorers, Meriwether Lewis and William Clark. 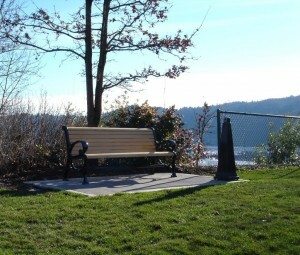 From this spot, on a very clear day, it is still possible to credit the words of Clark’s journal, “I can plainly see Mt. Jefferson”; which stands 100 miles away to the SE. The third monument, sculpted by University of Portland art professor Michael Dente and dedicated December 11, 1988, is three seven-foot bronze statues mounted on a four-foot platform. The Beacon, The University of Portland BOOKMAN, The Log, The Columbiad, The University of Portland Alumni Bulletin, The Oregonian, The Washington County Times, Portland: Greater Portland Commerce, The Captain William Clark Monument Brochure; and correspondence from Oregon Lewis & Clark Trail Heritage Foundation Committee, Oregon Historical Society, Rev. 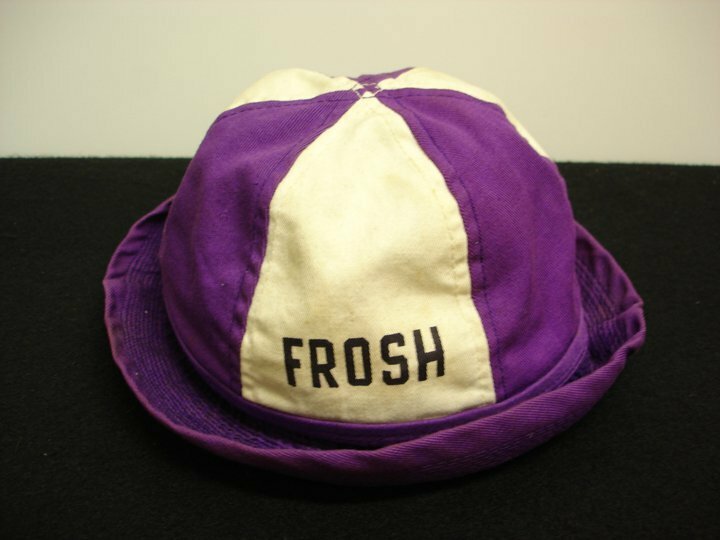 Thomas Oddo, C.S.C., University of Portland president, Office of University Relations.